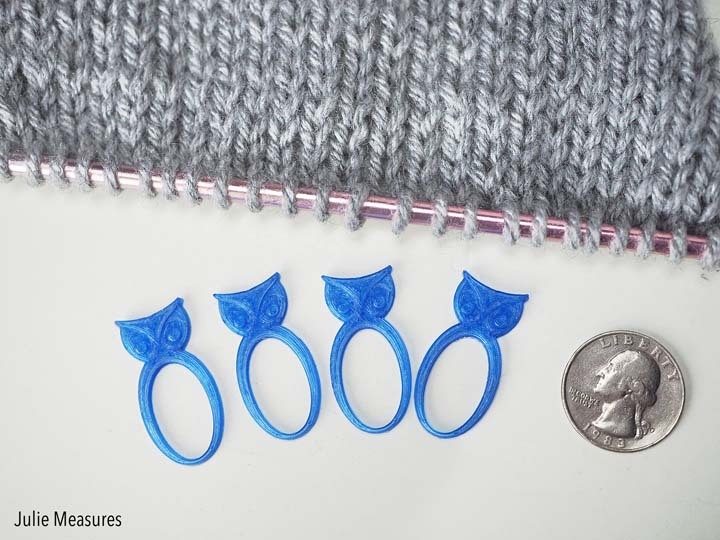 What does a knitter do with a 3D printer? 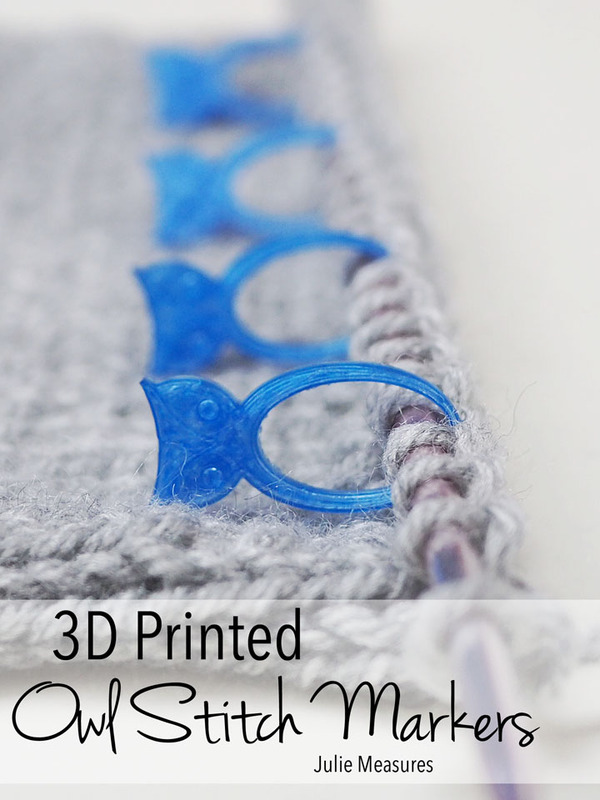 Makes 3D Printed Owl Stitch Markers! What do you do when your husband gets a 3D printer? You have him make knitting notions! Or at least I do. Last year after Christmas the kids and my husband were debating how to spend their Christmas gift money. The boys decided to pool their resources and buy a 3D printer. While they have printed some pretty cool things, from R2-D2 to the Eiffel Tower, it was mostly their toy. 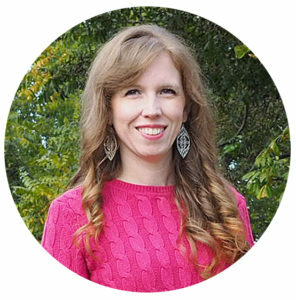 Until my husband showed me the website where they were finding a lot of the files they were printing. For 3D printer novices, like myself, while you can create your own files to print, there are also entire websites where creators share files that you can print. Some files are free, some you can buy, some have stipulations attached for how you can use the files. For instance, some are just for personal use. While the boys started by mainly printing designs by other creators, my husband does have a background in 3D software and it wasn’t long before he started creating his own files to print. He made a new shower head for our bathroom (seriously) and he is currently working on making his own bluetooth speaker. He also creates custom toy gun accessories in his Etsy shop! Most people know I have a soft spot for owls. And I needed some new stitch markers. So I put the two together and asked my husband to create some owl stitch markers for me. I even went online and ordered the plastic in the color I wanted to have them printed with. And I’m so glad I did because I love how they turned out! 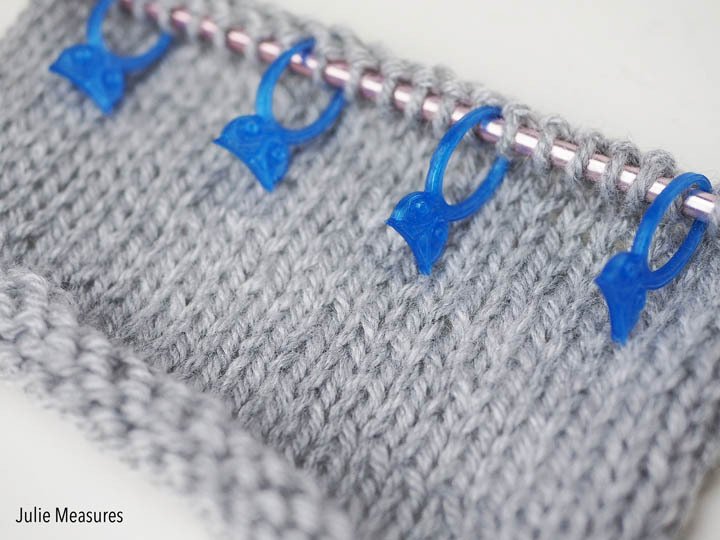 Clearly, I couldn’t keep such cute stitch markers to myself. 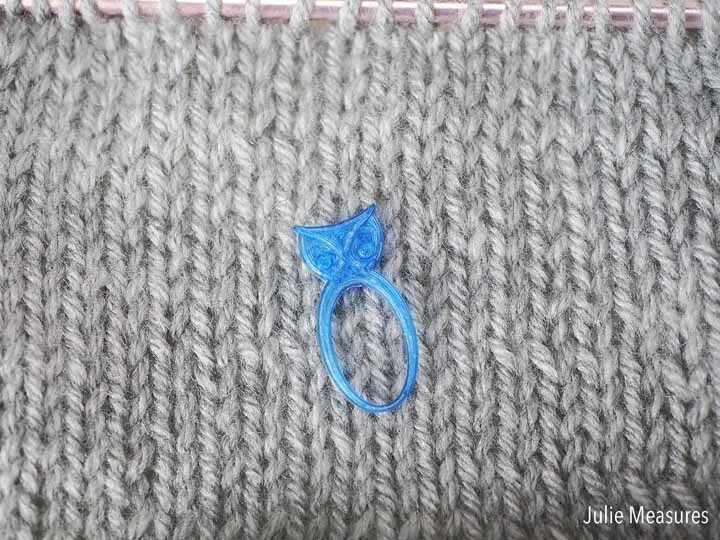 These owl stitch markers are now available in my Etsy shop. Right now they are listed in blue, but can certainly be printed in the color of your choice as well. You can email me for any questions. 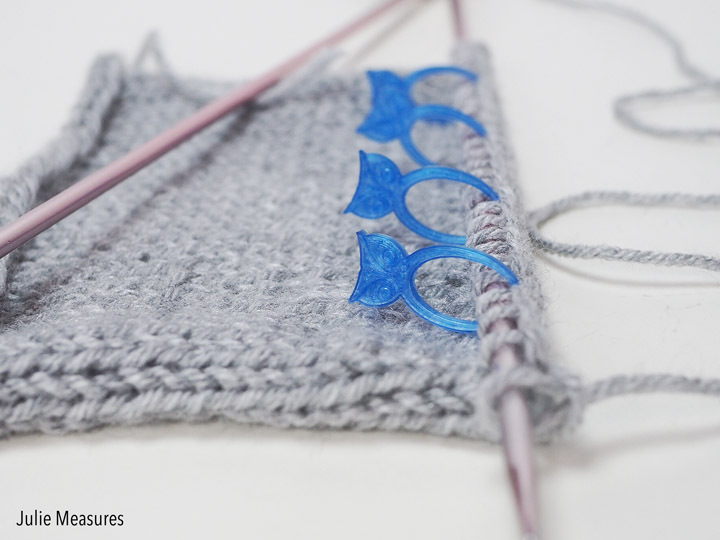 The owl stitch markers are perfect for whipping up my Owl Knit Hat! 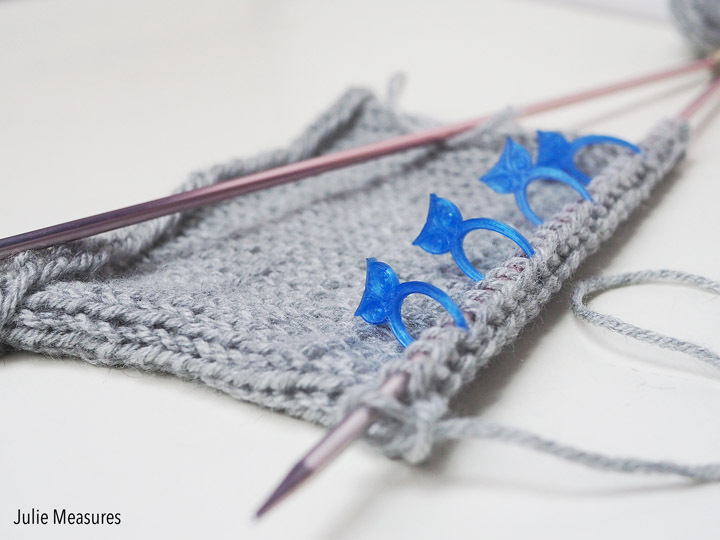 What style of stitch markers would you like to see next?